The giveaway is meant for making summer season give you a luxurious feel when you soak yourself in fragrance of natural bath and body care.. 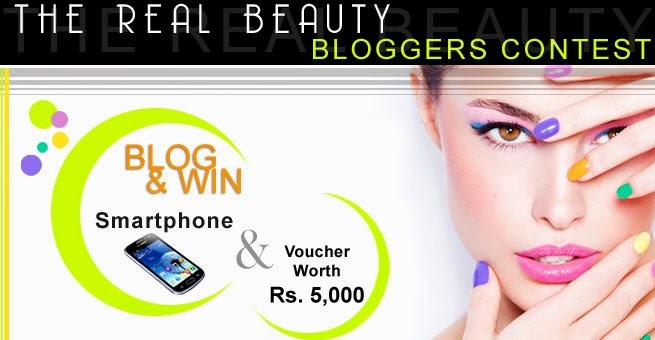 The giveaway is sponsored by Fuschia by VKare Bio Sciences Pvt. Ltd. Follow Fuschia and Alive n Kicking on Facebook. Follow me and Fuschia on Twitter. Subscribe to my blog via email or GFC (or both). Share the giveaway atleast once on your Facebook timeline properly tagging both the pages with hashtag #FuschiaGiveaway and your friends. Retweet the giveaway post link on twitter properly tagging both the pages with hashtag #FuschiaGiveaway and your friends. Check out Fuschia products here and answer "Which product from Fuschia skin care range can help to provide you improved skin care and how?" Comment with your answer and other details under this blog post once you have done all the steps. The giveaway runs for 3 weeks from 14 April, 2015 to 5 May,2015 (both days inclusive). The result will be announced by me in sync with the brand within a day or two after the closing date. The winners will have to provide the postal details as well as photo identity proof within 24 hours else the other deserving winner will be selected. One winner for Best answer to the question. 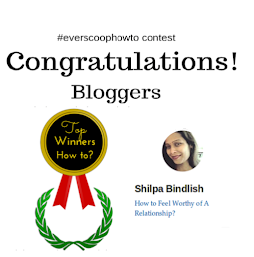 One winner for maximum interaction on the blog during these 3 weeks who reads posts regularly and shares genuine feedback on the same. One winner by draw of lots to give a fair chance to all participants. 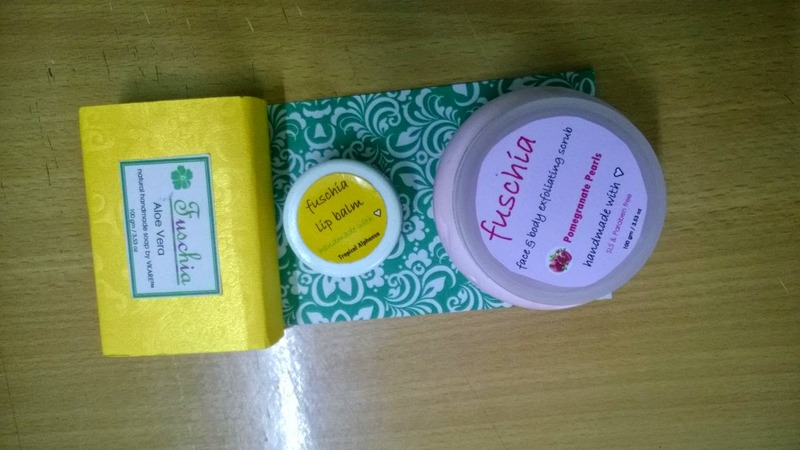 So here is quick look at the products from Fuschia collection, some of which will be included in the giveaway hamper. P.S. The pic shown above is only for reference purposes. The actual prize hamper would include products as per availability with the brand at the time of dispatch. 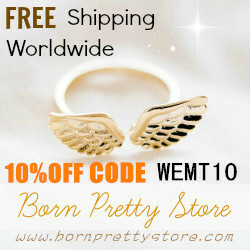 And the prizes will be directly sent by the sponsor to the winners. I love Fuschia - Garden Lavender Day Cream with SPF 15 as It is best for my skin . First i love fuschia as it products are natural and give a natural touch to my skin , no torture on my skin with harsh chemicals. secondly I love Fuschia - Garden Lavender Day Cream with SPF 15 as It is best for my skin. Fortunately, my skin needn’t take the brunt of the heat this season with "FUSCHIA". Iam ready to face the sun's rays with Garden Lavender Day Cream with SPF 15 that keep my skin fresh and dewy, even as the mercury continues to stay high. You always come up with good giveaways and this one is also one of them. I have followed all the rules of the giveaway. 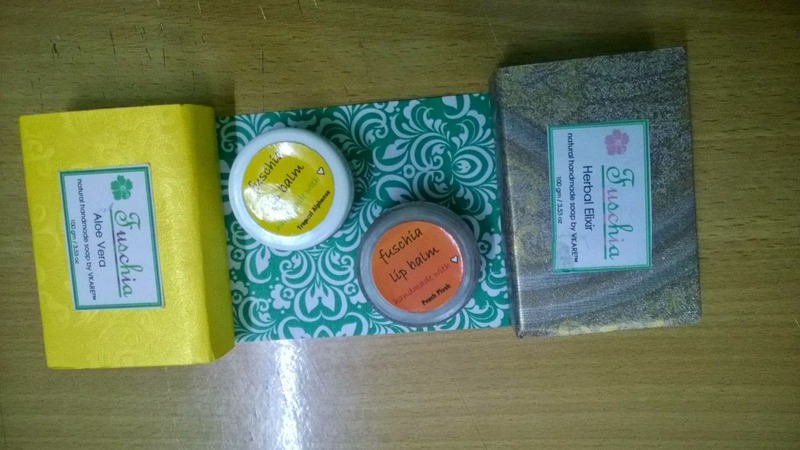 My skin problem is lots of acne, pimples and dark spots and I believe Fuschia - Haldi Tulsi Natural Handmade Herbal Soap will definitely sort out my problem. The ingredients of this soap will pamper my skin and slowly and gradually remove my problem from the root. Fuschia has researched a lot on herbs and with the combinations of them they made various product. This soap will definitely gives me flawless skin which I really want from long ago. Now for the Fuschia skin care range product that can help me to provide improved skin care, I'll choose Fuschia - Pomegranate Pearls - Face & Body Exfoliating Scrub - See more at: http://vkarebiosciences.com/index.php?route=product/product&path=102&product_id=237#sthash.oSHflyVD.dpuf because Pomegranate being a rich antioxidant, gently exfoliates dead skin cells, unclogs pores, detoxifies & moisturizes skin and having anti-microbial, anti-inflammatory and anti-aging properties have the ability to encourage radiant skin and delays fine signs of ageing making the skin feel younger. It will also help me prevent hyperpigmentation and age spots. The scrub will also be helpful in removing tan from the body. So wuld love to try this scrub. Fuschia - Pomegranate Pearls - Face & Body Exfoliating Scrub will be the best product for skincare. I believe that scrubs are the best way to promote good blood circulation to our skin and also to remove the dead cells, thereby improving our skintone. That too, this is fruit scrub from Fuschia contains anti-ageing properties. This particular scrub will give so many benefits to my skin. Also, the cute color of the scrub attracts me a lot :) Hence I like it and would love to try it out. Fuschia is one of the upcoming best Indian brands plus no animal testing and all products are natural and handmade which makes me happy and sad bcoz it's available only online and not in stores. Coz its a natural product which nourises the skin nd keep it baby soft.. It also has 15 SPF sunscreen effect which will keep skin safe frm sun rays.. On the other end it has lavender which keeps acne problem solved.. 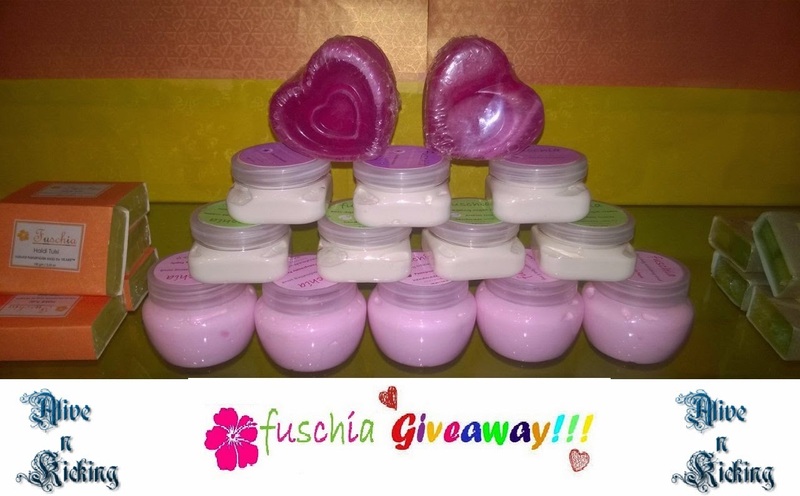 I have not yet tried any of the Fuschia products but thro reviews came to know a lot of good stuffs about the brand. I read your reviews on 3 of the Fuschia hand made soaps,Like you I am also a natural soap lover,currentky in love with Soulflower mud a lot soap, and after reading your reviews i badly wanna try the camellia handmade soap coz it has got the green tree extract :) I a proud fan for green tea! I would like to try Fuschia – Choco Butter Lip Balm because I have never used any natural lip balm that too made up of choco butter.Wonder it might taste like choco or butter .Natural lip balms are good as they do not contain huge amount of wax like synthetic ones .so want to try this Fuschia choco lip balm. Done all the steps to enter the Giveaway , email subscription also done. I m really glad to have such a nice give away it is just like icecool rain shower for me in hot sunny days of Hot pan of our country Nagpur. I m lover of lip balm n natural products so I need Fuschia – Pomegranate & Black Currant Lip Balm Combo. As I never tried pomegranate n black currant which are new nice skin friendly products as I could taste also my favourite fruits pomegranets n black currant in hot sunny days n protect my delicate lips from burning. As because my lips gets black n dry so I think this will work best this time if I will get above products. I believe use of Natural Products is just like my mother Care for me. ur email is not verified yet. 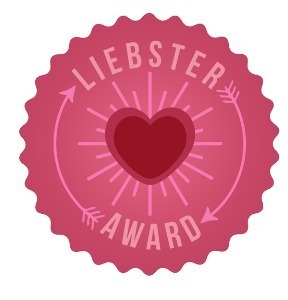 ur email id is not yet verified. glycerine based soaps are too good. and specially best for the dry skins. 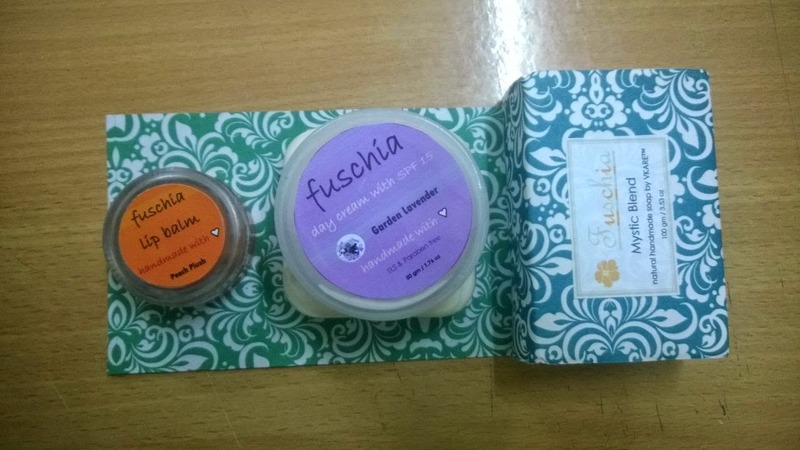 First of all thank you so much for giving us a chance to win this lovely hamper from Fuschia .I love Fuschia - Garden Lavender Day Cream with SPF 15 as It is best for my skin . First i love fuschia as it products are natural and give a natural touch to my skin , no harsh chemicals. secondly I love Fuschia - Garden Lavender Day Cream with SPF 15 as It is best for my skin. Fortunately, my skin need not take the scorch of the heat this season with "FUSCHIA". I am ready to face the sun's rays with Garden Lavender Day Cream with SPF 15 that keep my skin fresh and dewy, even as the mercury continues to stay high. this season I will have no worries for tanning skin as fas as I have Fuschia - Garden Lavender Day Cream with SPF 15. 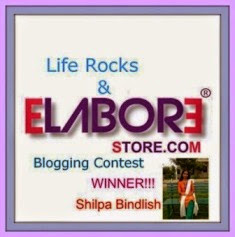 Wow.. That is such an amazing review n Giveaway.. I have followed each & every step. I guess i didn't miss any other detail. :P I am sorry I could not tag you on Facebook as I am operating from my mobile. Hope that won't affect. For improved skin care I would prefer Fuschia - Almond Oil Scrub Natural Handmade Herbal Soap . Coz from ancient times we all know that almond is very god for skin. It keeps skin young n clear. Almond has s many advantages for skin n hair so I want this soap for better care f my skin.